Download "Mail Services. User Guide"
2 user guide II Welcome To Mail Services This User Guide has been prepared to help the University of Texas Medical Branch customers obtain the best available mail services and maximum discounts on postage rates. It covers topics related to the delivery of campus mail, preparation of mail, non-profit bulk mailings, and mail automation services. It also contains other information basic to your everyday mail needs. We hope this guide will be a useful resource, our typical services include: Pick up and delivery of campus mail, receipt and delivery of USPS mail, receipt and delivery of parcel post, processing of metered mail, nonprofit bulk mailings, assistance with mail piece design, dormitory resident mail, postal box rentals, and forwarding services for box holders. Production of large mailings, including folding, inserting of mail into envelopes, and postage metering. 5 user guide 2 Mail Center Operations Delivery And Collection Schedule Incoming mail is delivered and outgoing mail is picked up at each of the 13 delivery routes once daily. Those areas with the highest volume of mail and those whose work is dependent on postal mail delivery were given priority for morning delivery. For example, departments such as Accounting and Physician s Billing were given a morning delivery schedule. The schedule your department falls under is determined by the first two digits of your mail route number. Use the following table to determine whether your mail will be delivered in the morning or in the afternoon: Morning Route Numbers 01** 02** 05** 07** 09** 12** 13** Mail Drop Locations Afternoon Route Numbers Student Mail Boxes 03** 04** 06** 08** 10** 11** For the convenience of visitors, patients, employees, and students, we also have mail collection boxes throughout our campus in the following locations: John Sealy Hospital - Floors 2-10 located near large elevator bank. John Sealy Hospital - Near entrance to Children s Hospital. Jennie Sealy Hospital - 1st floor West Hallway. Jennie Sealy Hospital - 1st floor by East Elevators. Clinical Science Building - 1st floor by elevators. Clinical Science Building - 3rd floor by elevators Outdoors - Near Vinsant Hall sidewalk. Levin Hall - 3rd Floor, South end of building. Jamail Student Center - 1st floor Campus Mail Mail Services handles the collection and delivery of all official university correspondence between departments. Currently, we provide this service to more than 90 buildings with 390 stops receiving daily service. Mail Services collects, sorts, and delivers more than 5,000 pieces of campus mail each day. Standard delivery time from pick up to drop off is 24 hours. If you experience service delays, please contact Mail Services at (409) Customer Responsibilities Separate campus mail from other stamped or metered mail. Do not mix with any other type of mail. Campus mail should, whenever possible, be mailed in the standard, white interoffice envelopes available from Materials Management (item # 65500). Recycled envelopes can also be obtained from the Mail Center. If other envelopes are used for campus mail, they may go through the postage meter which would incur a cost for your department. Campus mail should be limited to university business only. Address campus mail as follows: TO: NAME OF INDIVIDUAL department - ROUTE NUMBER FROM: NAME OF INDIVIDUAL department - ROUTE NUMBER Please print or type using capitalized letters, separate the department from the route number with a dash. Here s an example: TO: MICHELLE R. SMITH MAIL SERVICES - ROUTE 0102 FROM: MARSHA R. WATSON LOGISTICS - ROUTE 0918 U.S. Postal Mail Incoming mail... USPS letter mail is delivered directly to Mail Services where it is sorted, bundled and delivered to your department by one of our mail route carriers. All USPS parcels are delivered to Mail Services for delivery with your daily campus mail. Parcels sent to a Post Office Box address can be picked up at the Customer Service window. 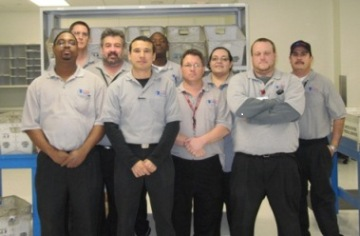 Non USPS packages are delivered to Materials Management, for example, FedEx, UPS, etc, where they are delivered by the Logistics Delivery Services team. 7 user guide 4 Customer Responsibilities Make sure your campus address is presented on your outgoing stationery in a way that meets USPS requirements to ensure that it will be used correctly on incoming mail addressed to you, (see the incoming mail example.) Always use UTMB ZIP Code (77555) plus your department s four-digit mail route number. Follow all requirements for packaging, separating and sealing metered mail. Update letterhead, envelopes, and business cards to reflect your complete address. Also, be sure to provide and instruct any correspondents, vendors, magazine subscriptions, mailing lists etc. to use your zip+4 UTMB address. You will help speed delivery of your own mail, and help the USPS control expenses. If you are receiving mail that is incorrectly addressed, please contact the sender and inform them of your proper address. Address For Success - Tips Type, machine or hand print all address information. Use upper-case letters. Make sure print is clear and sharp. Ensure address characters don t touch or overlap. Black ink on a white background is best. Maintain a uniform left margin. Omit all punctuation. Include floor, suite, and apartment numbers whenever possible. Put the city, state, and ZIP Code or ZIP+4 in that order on the last line. If there s not enough room, you can put the ZIP Code or ZIP+4 alone on the bottom line. Use standard two-letter state abbreviations (See Appendix A for list). When using window envelopes, make sure the complete address is always visible, even when the insert moves. Leave one space between words and two spaces between the state abbreviation and ZIP Code or ZIP+4 Code. Post Office Box Rental Renting a post office box is simple, just visit our Mail Services customer service window located in Rebecca Sealy Hospital and fill out an Application For Post Office Box. Our boxes rent for $9.00 per quarter. We accept cash or personal checks, however, returned checks are subject to appropriate service charges. Upon completion of the form and payment, we will assign a box number and provide instructions for the combination lock. A payment reminder notice will be placed in your box one week prior to your rental due date. If payment is not made by the due date, a close out notice will be placed in your Post Office box. The Close Out Notice explains that you have one week beyond your original due date to make a payment, or your Post Office box will be closed. You can cancel your Postal Box rental at any time. The fee representing the first three months is not refundable. Consult Mail Services for more information. Any mail addressed to your Postal Box address will be deposited in your Postal Box, except for those items which require a signature or are too large to fit in the compartment. In these cases, your mail is still secure. A card will be left in your Postal Box advising you of the situation, and you can simply pick up the mail from our Customer Service window. Be sure to provide your complete Post office box address to vendors, magazine subscriptions, mailing lists and those you correspond with, for example: NAME (box holders name) BOX (your assigned box number) Galveston TX (last 4 digits of box number) Dormitory Resident Mail Students living in the dormitories are assigned postal box numbers by Campus Housing, and can obtain their box lock combinations from Mail Center Operations. Medical student boxes, located in the Clinical Science Building are assigned through Student Affairs, and medical students may contact the office of the Associate Dean for Student Affairs at or at mail route Forwarding Services For Box Holders Mail Services will forward mail for box holders who change addresses once the box holder has submitted a change of address card, which can be obtained from the USPS Contract Postal Station windows. 8 user guide 5 Mail is forwarded for one year. Once the year has passed, mail will be returned to the sender, in accordance with USPS policy. This service takes place when the box holder: moves to an off campus address; leaves campus for the summer; a student withdraws completely from UTMB; or leaves UTMB permanently. Account Management Mail Services bills departments on a monthly basis by direct charge through the campus General Ledger. See Guidelines For Metered Mail (page 2) for additional information about billing. Customer Responsibilities When directing inquiries regarding general ledger entries for postage charges, have your account number, voucher number and information specific to the mailing in question available. When your department has a new account that you want Mail Center Operations to use for billing, please call promptly with the new account number and mail route to which it relates. When your department has an account number that you want Mail Center Operations to stop using, please call promptly with the account number you wish to have de-activated. Mail Route Management Employee mail routes are listed in UTMB s online directory at: Customer Responsibilities Complete a Route Request Relocation form and submit it to Mail Services when you or your department moves. Department administrators must update mail route information in the appropriate online system if the department moves, an individual moves, or a new employee joins the department. Individuals should check the online directory to make sure their mail route is correct. If it isn t, access the Edit feature of the online directory at: Personal Mail Personal mail is defined as any mail not related to UTMB or your position at UTMB such as: utility bills, credit card and bank accounts not related to UTMB, and periodicals not related to your position. UTMB requires that all faculty and staff receive their personal mail at home or at a permanent address. Occasional correspondence from friends and/or colleagues is acceptable. Your UTMB address should never be given as your permanent address unless you live on campus. It is acceptable to send outgoing personal mail through UTMB Mail Services if you have already provided adequate postage. University postal meters cannot be used to apply postage to personal letters or parcels. Nonprofit Standard A Mail This term was previously called Nonprofit Bulk Mail, which is a subclass of Standard Mail available only to qualified organizations specified by U.S. statute. Requirements for nonprofit bulk mail: must consist of at least 200 or more identical pieces; all pieces must be uniform in size; all pieces must be mailed out at the same time; each piece must weigh less than 16 ounces and be at least.007 thick (Mail pieces over 4 1/4 by 6 in size must be at least.009 thick. ); and mail pieces must be presented to Mail Operations in ascending ZIP Code order. Customer Responsibilities In order to qualify for nonprofit rates, you must complete the Form for Accepting Non Profit (Bulk) Mailings and submit it to the mail center prior to pick up. Note: The Mail Center provides tubs and trays for bulk mailings. Please call for for more information. Prior to preparing a large non-profit mailing, be sure to contact Mail Center Operations, at , to verify mail piece formats for compliance with USPS regulations. 9 user guide 6 Business Reply Mail Business Reply Mail (BRM) is a service from the USPS that allows you to send any number of reply pieces (envelopes, cards or self-mailers) and pay only for those that are returned to you. BRM is the most cost-effective way to provide reply pieces for a wide variety of mailings, including fundraising solicitations, surveys, subscription renewals, etc. The rate is first-class mail postage plus a surcharge. Customer Responsibilities Verify all business reply mailing formats with the Mail Center for compliance with USPS specifications prior to printing or reprinting. 11 user guide 8 US Mail Classifications Priority Mail... Is First-Class Mail weighing over 13 ounces. At your option, any mail weighing less than 13 ounces may also be mailed Priority. Priority Mail offers two or three day service to most locations. Special Priority Envelopes are available or Priority Labels may be used on your own envelope or package in conjunction with your own address label. Maximum weight is 70 lbs. Delivery zones and shipping weights determine the postage price. Minimum postage fee is $4.05 for up to 1 lb., and zone increases apply after 1 lb. First-Class Mail... Is the basic postal service mail class for business mail. Items normally mailed First-Class include postcards, letters, and non-letter mail that are personal in nature. This includes bills, invoices, checks, letters containing personalized information, and anything sealed against postal inspection. It is not necessary to identify service class on the piece. Delivery ranges from one to seven days depending on travel distance. Maximum weight is 13 oz. Parcel Post... Is generally used by businesses for shipping merchandise. Minimum weight is 1 lb., and maximum weight is 70 lbs. The maximum dimension is 130 inches in length and girth combined. Parcel Post has lower rates and slower travel time than Priority Mail. Delivery ranges from several days to two weeks depending on distance. Delivery zones and shipping weights determine the postage price. Please label items Parcel Post. Unlabeled parcels (not having service class noted on package) will be mailed at Parcel Post rate. Media Mail... Is generally used for books, films, printed music, printed test materials, sound recordings, manuscripts, printed educational charts, loose-leaf pages, and binders consisting of medical information, as well as computer readable media. Advertising restrictions apply. Minimum weight is 1 lb., maximum weight is 70 lbs. The maximum dimension is 108 inches in length and girth combined. Delivery ranges from several days to two weeks depending on distance. There is no delivery zone up-charge. Shipping weights determine the price. Please label items Media Mail. Library Mail... Is a special class rate, mailed between libraries, schools, universities, nonprofit organizations, and museums. Items that can be mailed at this rate include books, recordings, educational, and museum materials. This rate may be used when mailing from the University of Michigan to an individual who has no financial interest in the sale, promotion, or distribution of the materials. Advertising restrictions apply. Minimum weight is 1 lb., maximum weight is 70 lbs. The maximum dimension is 108 inches in length and girth combined. Delivery ranges from several days to two weeks depending on travel distance, and there is no delivery zone up-charge. Shipping weights determine the price. Please label items Library Rate. Special Services Certified Mail... Is a service that provides a level of security on nonvaluable items. Items generally sent Certified Mail include notices, important letters, legal documents, and non-negotiable items. Items sent Certified Mail must have a receipt for Certified Mail form completed and attached to the mail piece. Mail Services recommends the use of a return receipt with all Certified Mail. Certified Mail is only available to domestic addresses. The cost is $2.40 plus normal postage. Insured Mail... Provides insurance for replacement or repair on damaged, rifled, or lost articles. The fee is dependent upon the declared value. Insurance is used for parcels or merchandise that are shipped at the Parcel Post Rate. Limits are $5,000 for domestic mail. Mail Services recommends the use of a return receipt. Cost is approximately $1.05 per $100 of declared value, plus normal postage. Return Receipt... Is a form used to verify delivery where a receipt is signed and returned to you. The return receipt then serves as legal proof of delivery. Return receipts should be used on all Registered, Certified, and Insured Mail articles. There are two different return receipt forms -one used for Domestic Return Receipt the other for international return receipt mail. Use of a return receipt avoids additional tracing fees. The return receipt fee is $1.85 plus normal postage. 12 user guide 9 Customs Forms Customs Forms are required for all international mail weighing more than 16 oz. Customs forms help to identify the shipper s name, address, and package contents for the destination country and FAA officials. There are two classes of customs forms. Parcel Post (all items over 4 pounds) and items valued over $400 require the 2976A multi-part customs form, which requires the use of a 2976E envelope. All other items can be mailed with the short 2976 customs form (items weighing over 4 pounds require 2976A customs form). Items not being sold or sent for resale should be described as Educational Material, No Commercial Value which will avoid customs fees on the receiver s end. Do not detach the white Post Office Copy of the 2976 short form. A reminder: customs forms do not replace properly affixed address labels. Package Savings Tips Screen your mailing list for unnecessary names, duplicates and incomplete addresses. UTMB Mail Services can help you with this. Use Certified instead of Registered mail whenever possible. It costs less and still provides a receipt and notice of delivery to the sender. Do not over-insure. The post office and UPS will pay only the actual value of an item, not the declared value. Use postcards for short messages or announcements. The cost is 1/3 less than sending an envelope. Combine mailings when possible into a larger envelope for distribution at the location. Use Business Reply envelopes provided by vendors, instead of department envelopes. Fax the information when time is crucial, instead of using Express Mail. Request Library and Book rate whenever possible. Savings can be as much as 50 percent of the cost of first-class mail. Use interoffice envelopes for on-campus mail. Use regular business envelopes for off-campus mailings only. Use UTMB address labels for all large mail items, such as flats and parcels. Use Non-profit/Bulk Rate whenever possible. Savings can be as much as 20 cents per mail piece. Packing Boxes Acceptable containers include corrugated or solid fiberboard, paperboard (for small items), metal cans, tubes or boxes, wooden boxes, and fiber mailing tubes with metal ends. The strength of the tube ends must be equal to the tube side-wall strength, unless the contents are lightweight, rolled items. For easy loads of up to 5 pounds, paper bags and wraps are acceptable when at least of a 50-pound basis weight (the strength of an average large grocery bag), and the items are immune from impact or pressure damage. Do not use string or staples to secure packages. Cellophane and masking tape may not be used for closure or reinforcement of packages but may be used to augment adhesive closures on envelopes or to cover staples on bags. Except for pressuresensitive filament tape, tapes used for closure and reinforcement may not be less than 2 inches wide. Non-reinforced plastic tapes must be at least as strong in the cross direction as in the machine (long) direction. Packages containing breakable items should be marked Fragile above the address, below the postage, and on the reverse side. Those containing foods or other items which would decay should be marked Perishable. Address information should be clearly typed or printed on an address label placed in the center of the parcel. The To: and From: should be clearly indicated. Indicate what class the package should be sent. All packages with no mail class indication will be sent First Class. MAIL SERVICES GUIDE University of North Texas Health Science Center at Fort Worth July 23, 20092 Susan Crutcher Mail Services Manager Ext: 2219 Table of Contents 1. Introduction 2. Services Provided 3. Using Shelby Mailroom to send bulk mail! Glossary of Postal Terms and Abbreviations in the DMM 001 accelerated reply mail (ARM) Origin caller service provided for reply mail at a postal facility other than the one to which the mail is addressed. Glossary of Postal Terms and Abbreviations in the DMM 800 additional entry (AE) A Post Office other than the office of original entry where a publisher is authorized to mail a Periodicals publication. Mailing Guide. Physical Qualifications for Automated Mail. Basics of Mailpiece Design & Customized MarketMail! Service Overview. Business Reply Mail. Trade-mark of Canada Post Corporation. OM Official mark of Canada Post Corporation.